This brand new 2014 one-of-a-kind letterpress and wood calendar is an absolute hoot. 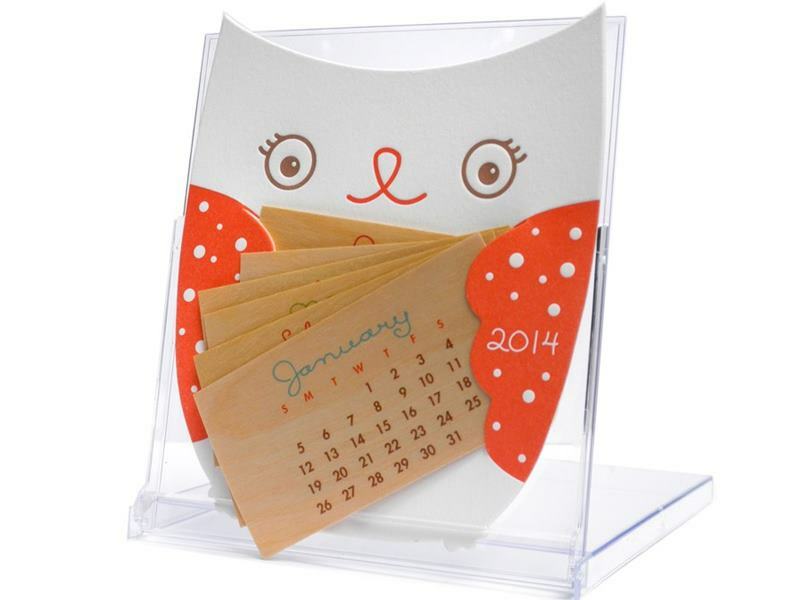 As useful as it is cute, this small calendar sits nicely on any desk and features a unique die-cut owl shape letterpress printed on luxurious 220 lb 100% cotton paper made from recovered cotton fibers. 12 months of dates are printed on 6 double-sided, eco-friendly sustainably-harvested birch wood pages and the calendar comes in a reuseable jewel case that doubles as a stand. This gift is wonderful, handmade and green to boot. Plus, at just $15 this owl calendar is an excellent eco-friendly and affordable holiday gift for teachers, kids, co-workers, coaches and just about everyone else on your list. If owls aren’t your thing – well, that’s too bad, but Night Owl Paper Goods also has plenty of other sustainable 2014 calendars to choose from. This brand new 2014 one-of-a-kind letterpress and wood calendar is an absolute hoot. As useful as it is cute, this small calendar sits nicely on any desk and features a unique die-cut owl shape letterpress printed on luxurious 220 lb 100% cotton paper made from recovered cotton fibers. 12 months of dates are printed on 6 double-sided, eco-friendly sustainably-harvested birch wood pages and the calendar comes in a reuseable jewel case that doubles as a stand. This gift is wonderful, handmade and green to boot. Plus, at just $15 this owl calendar is an excellent eco-friendly and affordable holiday gift for teachers, kids, co-workers, coaches and just about everyone else on your list. If owls aren't your thing - well, that's too bad, but Night Owl Paper Goods also has plenty of other sustainable 2014 calendars to choose from.